Are you looking at renovating your house? Home renovations can be a bit of a minefield, there are lots of little details you may not have considered, or be aware of, these hidden nasties can not only blow out your schedule but also your budget. 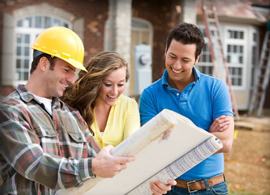 Instead of dealing with all the stress and pressure of managing your renovation project on your own, why not let Durabay who have over 20 years of experience in home renovations help reduce the pressure .If you have a vision for how you want your house to look like post renovation, let Durabay help make that dream a reality. Choosing the right builder is a big decision and not something that should be taken lightly, ultimately track record and trust are two key factors, our team are available to discuss your project and to conduct a site visit, so we can estimate the requirements with you face to face. Quality is another very important thing when it comes to renovating your home, Durabay have a broad skillset in construction projects, and can not only work on your house, but also landscaping, concreting, retaining walls and driveways, so we are in a unique position where we can manage your project end to end.